Dating from ca. 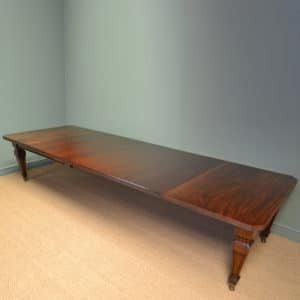 1890 this Elegant Victorian Mahogany Antique Bijouterie Table is full of beautiful country house charm and character. 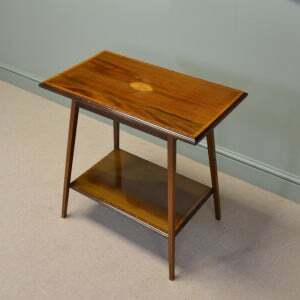 It has a moulded top with box wood string inlay, glazed centre and the interior has a green baize lining. Dating from ca. 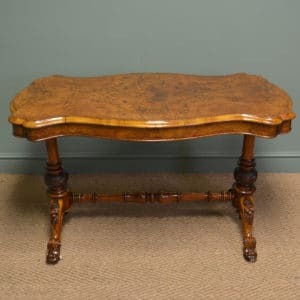 1890 this Elegant Victorian Mahogany Antique Bijouterie Table is full of beautiful country house charm and character. 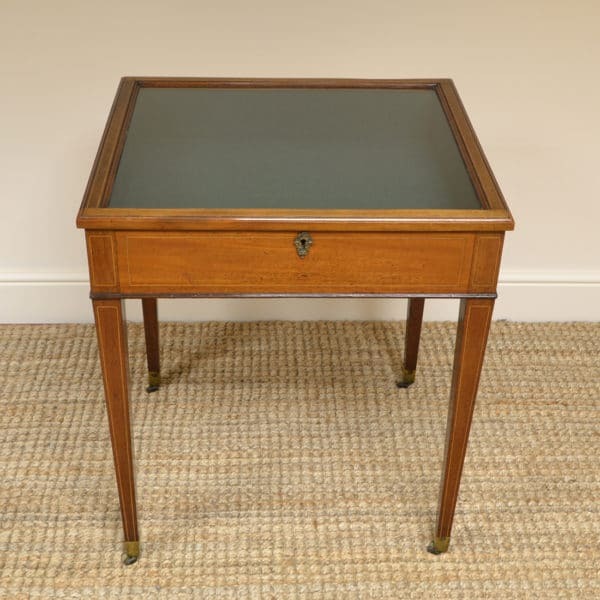 It has a moulded top with box wood string inlay, glazed centre and the interior has a green baize lining. 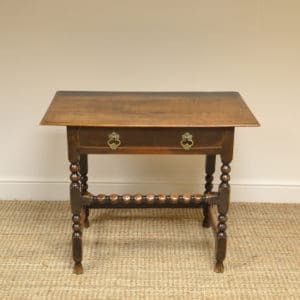 This fine piece has a deep frieze with decorative brass key escutcheon and stands on four tapering legs with brass castors. 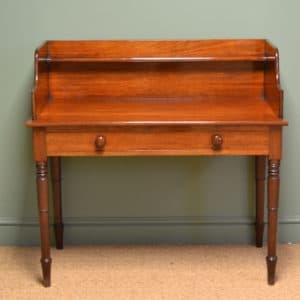 It has aged to a warm Mahogany shade with a striking grain, good patina, is in very good condition and has been beautifully cleaned using a traditional form of wax finishing.